Most passengers have no idea how bad air travel is for the environment. Ready to get over your post-festive comedown by booking an escape to the sun? For many of you, that will involve flying. And while I’m sorry to put a downer on your holiday plans, there are several problems with this from a climate perspective. The first is that aviation is essentially a fossil fuel industry, one which guzzles an eye-watering 5m barrels of oil every day. Burning that fuel currently contributes around 2.5% to total carbon emissions, a proportion which could rise to 22% by 2050 as other sectors emit less. The second problem is, as Air Asia puts it, “Now everyone can fly”. And in “generation easyJet”, those who already fly, fly more than ever. This increasing demand from new and existing travellers means the number of passenger aircraft in our skies is set to double by 2035. The third problem is that unlike other sectors where there might be a greener alternative (solar not coal, LEDs not lightbulbs etc), there is currently no way to fly 8m people every day without burning lots of dirty kerosene. Aircraft are becoming more fuel-efficient, but not quickly enough to offset the huge demand in growth. Electric planes remain decades away, weighed down by batteries that can’t deliver nearly as much power per kilo as jet fuel. But here’s the peculiar thing: although no other human activity pushes individual emission levels as fast and as high as air travel, most of us don’t stop to think about its carbon impact. While in many countries new cars, domestic appliances, and even houses now have mandatory energy efficiency disclosures, air travel’s carbon footprint is largely invisible, despite it being relatively much bigger. For instance, a return trip from Europe to Australia creates about 4.5 tonnes of carbon. You could drive a car for 2,000 kilometres and still emit less than that. And the average per capita emissions globally is around 1 tonne. Several studies have found people to be quite ignorant of how their own flying behaviour contributes to climate change. It’s not hard to see why. Research into airline websites shows little mention of environmental impact. Green NGOs are often quiet on the issue, perhaps being reluctant to “preach” to their members to fly less, and concerned over accusations of hypocrisy as their own staff fly around the world to conferences. Political leaders are also unwilling to point the finger at passenger-voters. Indeed, Tony Blair asked as prime minister in 2005 “how many politicians facing a potential election would vote to end cheap air travel?” His answer: zero. The political strategy seems to be passing the buck to the airline industry, and hoping for the best. And the primary reason that they will come is because flying is kept artificially cheap, while trains and cars become more expensive. The main reason for this is the so-called “Chicago Convention”, agreed in 1944 by a then much smaller air industry, which prohibits countries from imposing jet fuel tax and VAT on international flights. Taxes on other forms of transport have increased dramatically since 1944 but thanks to the convention aviation has remained almost unscathed. Things have actually moved in the other direction since the 1990s, when an influx of low-cost carriers led to big cost savings and even lower ticket prices. What is to be done? Aviation, along with shipping, was given special status and excluded from the Kyoto and Paris climate change agreements. The industry was tasked to come up with its own solutions instead. 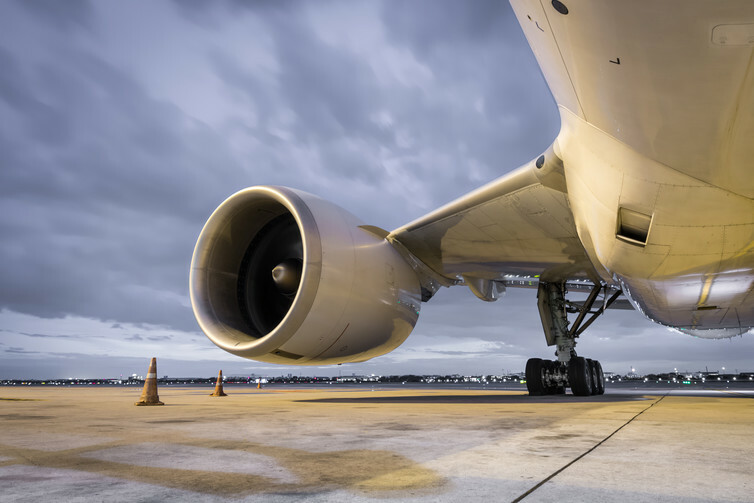 After much foot-dragging, the International Civil Aviation Organisation (ICAO), finally addressed aviation emissions in 2016, proposing a market-based mechanism, the Carbon Offsetting and Reduction Scheme for International Aviation (CORSIA). Under CORSIA, countries’ airlines are given allowances to emit carbon, and if they exceed their allowances (which they will) then they must buy offsets from other sectors. Yet the plan is not nearly radical enough. It doesn’t even come into power for another decade, and it does nothing to stifle demand – unlike a carbon tax. As we can see, regulating the environmental impact of flying is a complex business. Ignorance and inaction is an appealing reaction to complexity, but we need to act before aviation gobbles up more of the increasingly small wriggle-room for emission cuts. We can try and reduce the number of flights taken, buy carbon offsets for unavoidable flights, and question the broader logic of allowing the industry to grow ad infinitum. Just using a carbon calculator to learn about the carbon impact of our sunny escapades is a good start. If citizens remain blissfully unaware of aviation emissions, then airlines and governments are unlikely to do anything about them. Alternatively, if governments ever wish to place a global carbon tax on flights, then they will need to create political “buy-in” from citizens who increasingly see cheap flights as a right.